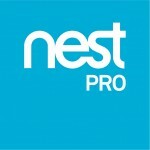 We are excited to be a Nest certified professional installer. 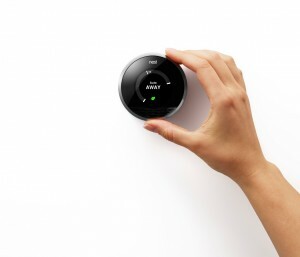 The Nest Learning Thermostat can turn the boiler on and off according to the temperature in your home. It learns your preferred temperatures and adjusts based on your personal schedule. And with its built-in sensors, the Nest Thermostat knows when the house is empty and automatically turns down the temperature, helping to save energy. For more information about the learning thermostat, visit www.nest.com. I cannot recommend Wesley highly enough. He always provides a high quality service, often on very short notice and always at a very reasonable price. He\'s gone out of his way to help me out in a couple of emergency situations which I am very grateful for. Wesley has just replaced a boiler in our flat we rent out. The work was first class. He was very tidy, reliable and did exactly what he said he would do in the quote. If you want reliability and quality work then he is your man. Our tenants were delighted with the work and the way Wesley presented himself. Efficient and excellent service. I shall be using your company in future for all my plumbing needs. Cleansed central heating system, refurbished all old radiators to more efficient style and sizes. and work needed on boiler. Excellent 2 day job carried out by Harvey & Bocky. Will definitely recommend them and use them again. Thank you for a professional job. I've used these guys more than once and very pleased with them. For a start, they can write and speak well, which gives an immediate feeling of confidence. I'll definitely book again for future tasks. Wesley is always prompt, efficient and reliable. Great to have such good service in the area. Servicing of 3 large boilers at St Andrew's church carried out thoroughly and professionally. I am a caretaker of office and residential premises in the London area and would be happy to recommend West Hampstead Plumbing and Heating Services without hesitation. Their work is of a very high standard and competitively priced. I also found them to be courteous, trustworthy and reliable. "We just assume that Wes will do any and all of our plumbing and gas projects because we never even think of asking anyone else. He has done all of our jobs in the house and needless to say brilliantly. He always honestly explains what needs to be done in plain english. Further and importantly we can confidently leave him alone in our house if necessary. For my wife, she won't entertain another plumber because he is pleasant, respectful, doesn't smoke and happily always leaves the site clean and tidy!" Our confidence in West Hampstead Plumbing is always rewarded. THANK YOU for a fabulous job in installing our boiler and contemporary minimalistic gas fire. I wouldn't hesitate to recommend Wesley to anybody who needs their heating system re paired , replaced or altered. Talented, caring and a really nice guy . A prince amongst thieves !! :-) Thanks Wes' :-). "Thank you so much for helping sort out our numerous plumbing problems (faulty boiler, replacement radiators, new pipe work etc)and for providing such high quality work at a sensible price...it is a mine field trying to find honest and reliable tradesmen and I am loathed to recommend you in case you are too busy the next time we need your services"
Wesley is my first call for anything plumbing/heating. He has come to the rescue countless times over the years. He is prompt, no fuss, great rates. Just put a new boiler in for me, thanks. If you need a good plumber then look no further. We have appreciated Wesleys excellent plumbing and gas/heating work on many occasions. He has done many jobs in my rented property from boiler repairs, solving plumbing problems to the yearly landlord gas certificate and Wesley\'s service has always been of high standard, tidy, competitively priced and reliable. If you have an emergency he will get out of his way to come out and fix the problem and is always to hand with good advise. Have been a customer for a number of years now and have found that the service is always excellent and nothing is too much trouble, even when the work required is in difficult circumstances. I have employed West Hampstead Plumbing many times and have always been extremely pleased with their work. They are polite, trustworthy and highly efficient, having many other skills besides plumbing. They have recently fitted a new kitchen and bathroom for me and were also able to carry out necessary additional work such as tiling, carpentry and decorating. The rates are very reasonable and I have recommended them to several friends and colleagues, all of whom have been very happy with the results. Friendly & Focused. Communicative & Clear. Efficient & Effective. A perfect job all the way from a quick recce visit the day before to a written summary of work done straight after completion. We needed a shower fitting and the piping under the sink fixed. Wesley from West Hampstead Plumbing was quick, polite, and easy to deal with. Would recommend. Wesley has worked for my family for a number of years and has always proved satisfactory as far as work is concerned, including the maintenance of the Commercial Properties we own. He is reliable,Honest and gives good value for money . Above all he is a very competent Plumber. Totally reliable, do not try to extend work time to push up price and will advise on better/cheaper alternative devices where applicable. Best Plumbers in town : ) no job to big or to small. If You want an excellent heating instelation you can’t do better. The service was amazing, the guys were punctual and polite, explained the problem and the fix which they competed efficiently without any mess, wouldn't hesitate to recommend them or use them again. First time maintenance call - efficient, professional, reliable, straight forward, no fuss, happy to call him in future. Give him a try! Wesley came all the way down to South London and did our bathroom for us. He did a great job, very reasonably priced, is a really nice guy and I would definitely use him again. Wesley is a superb plumber. He came to fix our shower mixers and got the job done well and efficiently. He came on time, explained what we needed to do, was transparent about pricing and gave us options. He is straightforward to work with and very trustworthy. He answered all my questions and I would ask him to come back when required. Great experience and excellent service. We have been nothing but happy with West Hampstead plumbing. From the very start the communication is clear and everything is explained in clear terms. The service is reliable, well priced and the workmanship is of a high standard. I think it's getting harder to find tradespeople who bring pride, honesty and commitment to their work; it's good to see these qualities with West Hampstead Plumbing. I have called upon Wesley's services many times over the past three years, and he and his team have never let me down. He is quick to respond to any incident, at any time of day. Wesley's standard of work is of the highest calibre, and he is respectful, trustworthy and courteous throughout. I highly recommend West Hampstead Plumbing & Heating Services, they are a safe pair of hands.